With the Imprisoned Heralds: Unleashed patch upon us and while we eagerly wait for the 8 new cards, we look at the sheer number of cool and amazing things with the 5 cards that have already been spoiled. Its Christmas early in the land of Solis! Lady Forgeborn of the miniset, at first glance, she's a growing threat that uses her Seedling entourage to fuel her as they get squashed beneath the weight of your other creatures, turning her into a decent body at 5/9, 11/15, 20/24 in her first three levels, provided you only replace two Seedlings the next turn. Now, there is the potential upside in giving free fodder for say, Upgrade cards while making Nova ever stronger, sweet value right there. Or the fact that she is buffed by Weirwood Patriarch in her first two levels, along with her Seedlings provide a nice synergy. Take note that cards that replace themselves (Everflame Phoenix for example) also trigger her growth, so you could live the dream with Iztek, Dozer and the like, or say..
Nuada! I'll dedicate a whole section to our soon to be Santa, simply because of how well they work together. Nova provides the plants (Seedlings do count), and Nuada in return makes Nova bigger while putting a 7/7 into play with every activation. They both also get pumped by Weirwood Patriarch, which is just icing on the cake. In fact, the dream opener of 1.1 Nuada into 1.2 Nova+WWP isn't even that far fetched, and leaves you a 4/12, 3/3, 7/7, 6/10 and a 4/7. Not too shabby. Overall, a threat that facilitates several archetypes, namely Upgrade and Plants, extremely exciting. Metasight on two rather small sticks (Metasight Chopsticks? ), in a faction combination that traditionally had several cards that would love the sneak levelling, such as Chrogias, Iron Maiden, Mimicwurm and even Talisin, or even to level removal like Botaminate, which UA always had problems with, that sounds pretty exciting eh? Oh, it gets pumped by WWP too. Notably, it allows you to replace your creatures if need be, which can reverse a trade involving Nova, or be used as replacement fodder if you need to as his body is pretty insignificant without buffs, another plus for UA Upgrade. This is a card which I want to see do well, but I'm not too sure if it will see success. We can hope and brew though. 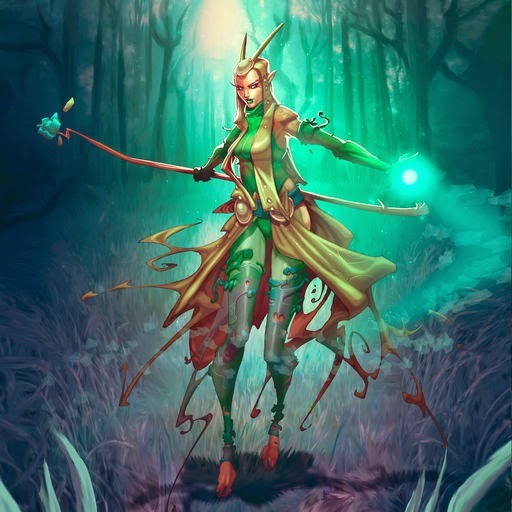 Just a quick list of some of the things that are improved drastically by Scout: Spring Dryad, Nexus Aeronaut, Everflame Mystic and Xithian Shambler. This is of course not considering other things you can squish; Citadel Guard for example, is a big wall that often gets ignored, but this becomes a 12/14 at level one alone which is will take out not only level ones, but most level twos as well. This of course comes at the cost of two plays, but it is still undeniably huge. Considering that you're putting several eggs in your Relic basket when you play with this guy however, hard removal can often wreck your day, Byzerak Spitemage, Cercee and Nethershriek all can reduce your Hunter to a corpse in an instant, which can really burn you if you invest too much into the guy. An interesting and yet powerful addition to Alloyin, its purpose seems to be exclusively as a win condition as opposed to a utility focused creature, and hence might not fit into many decks as it has a narrow scope, although the Scout is a nice incentive. Nekrium Hydra?! At this rate we'll have a Mecha Hydra and Hectares will be able to take over the world of Solis with his Hydra army.. Also, why is this not Byzerak Spite Hydra? Consistency in names guys, consistency. Gripes aside, an interesting growing threat that use the damage on its Activate to generate incremental value, which can be interesting with Ator, which we'll get to in a moment. While I don't foresee this getting obscenely huge (excluding the Magical Christmas Land scenario with an opposing Agamemnon with one attack and a gazillion or so health and this just swells to infinity. Hectfinity? ), it looks like it'll at least be decent in draft, constructed..
Well there's this thing about 5/5s that grow into 9/9s, They aren't amazing as its a sup par stat distribution, getting eaten by Frostmane Dragon isn't a good sign for its constructed viability BUT it does grow into a pretty nice size after fighting or using its Activate once, so thats a cool plus. Its Activate also can kill tiny creatures like Seedlings or Esperian Sages, or block them similar to a Grimgaunt Predator, to grow while feasting off a tiny opposing creature. Overall, a card that I think goes into the needs testing pile, but personally I don't see it breaking constructed in half any time soon. Wow. Let us just bask in the glory of this guy for a second. This guy just makes so many things just.. work. You need to hit your opponent's face for your Everflame Mystic? Your Ridgeback? This works with those dudes. Flameblade becomes a minimum of 4 AoE damage, Umbruk Lasher is also a burn spell now. Oh, that's not all folks. Activates can go off immediately, which means that Spite Hydra is now a 6/6 immediately, you can go Ator into Arcflight Squadrons thrice and finish off with a Robot, get a level two Leafkin Progenitor immediately. Or Nuada even, although the 7/7 Treefolk doesn't get Aggressive due to the change to how Assault works. Keeper of the Damned for great value, Instant Nefrax.. This card is Solforge Santa #2, and Activates are on the nice list. In essence, he was the Korok that the people needed, but never got. Before now anyway. But this card is perhaps the most exciting out of those spoiled, the world of Solforge just got a whole toybox, and we are in for a treat. I am hyped. That's probably the only way I can express how I feel about the mini-set without resorting to slamming Caps Lock. The set introduces cards that aren't only exciting but also enables different archetypes. 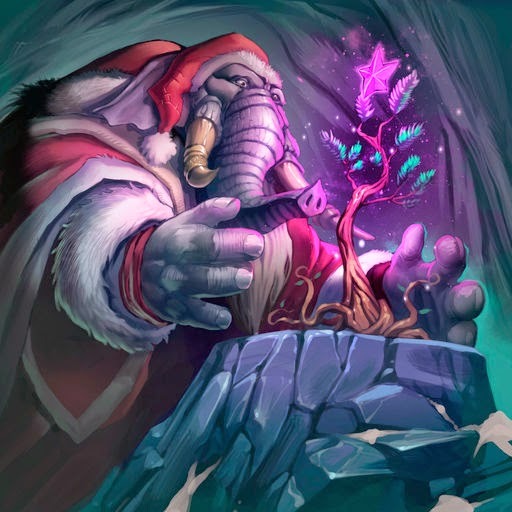 That's why its exciting, not just because they are powerful in their own right, but because they revitalise and give birth to new decks, and more fun. This is a good time ladies and gentlemen. Oh yeah, some of you may have realise that the weekly SCAs have been on a hiatus for a while now, they'll resume once I get the proper inspiration, but not just yet.